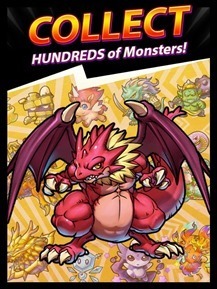 Try to follow along here: in Dragon Coins, your party of anime-style monsters is represented by little drawers in a shelf. Tap on the shelf to drop coins at strategic spots, where a moving wall will push them all forward into the drawers. 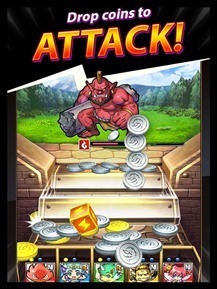 When one of your monsters gets enough coins it attacks the enemy, another monster hanging out at the top of the screen. Gold coins are spent on upgrades, green coins heal your team. 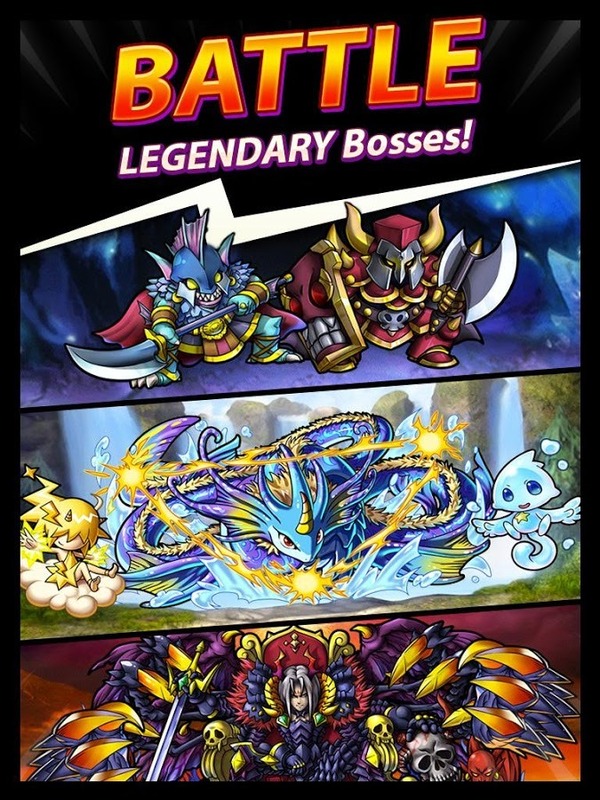 It really is a fusion of the Pokemon/Yu-Gi-Oh monster battling genre and that weird coin machine. No, we don't know why either. 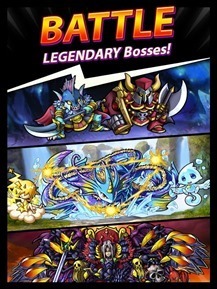 If you can get past the initial concept, there seems to be a competent enough game underneath it all - lots of critters to collect and evolve, special power-ups and ally attacks, and a staggering amount of stats-based upgrades and combination systems that will allow those who love complex strategy to dive in deep. 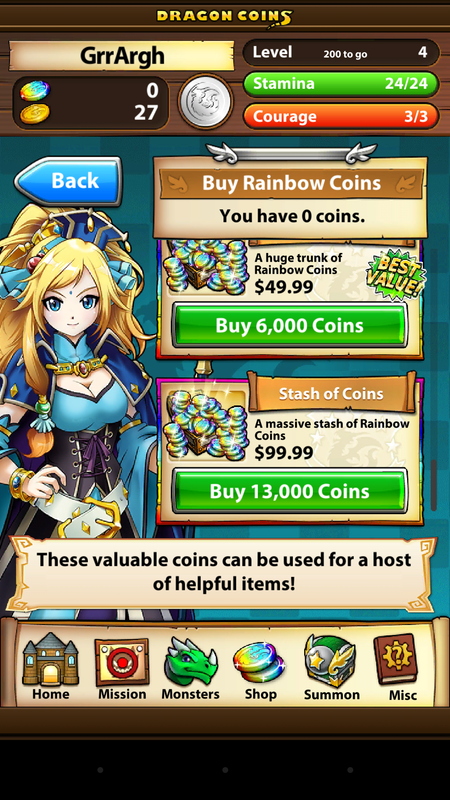 But at the end of the day, the core mechanic of the game is dropping coins on a shelf. 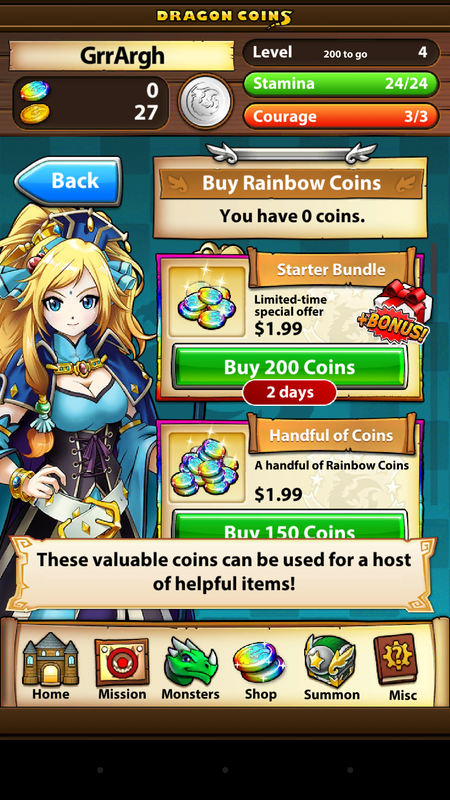 Naturally Dragon Coins is free, and encourages you to spend real money on fake money. 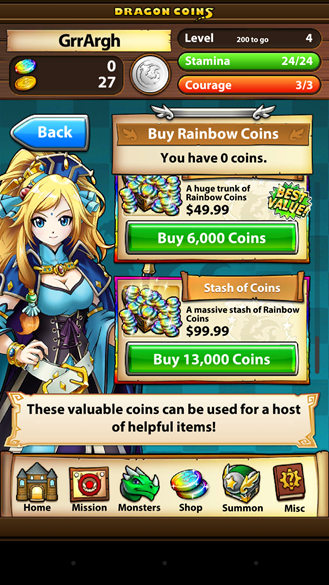 Is it a good game? The techincal aspects seem sound. There's lots of depth in the variety and upgrading of monsters. But it all seems really shallow when you're replicating a super-simple arcade gambling game. 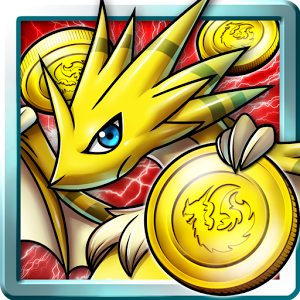 Dragon Coins is free for Android 2.3.3 and up.